Stephen King research papers cover all his major works. Stephen King is perhaps the most popular writer of the 20th Century. Certainly, he captures the title within the horror genre of literature. He is the only writer to have ever made the Fortune 500 list of wealthiest people and his annual income exceeds the income of some third world countries. Stephen King's popularity transcends literary genres, national borders, and generation gaps. His works are ambiguous in political or social statement, thus their appeal remains widely diverse. King draws from his own childhood experiences and his vast range of literary knowledge to produce some of this century's most captivating literature. 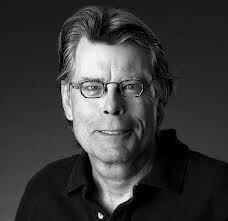 Stephen King was born in the Northeastern town of Portland, Maine on September 21, 1947. Raised by his mother and brother, King's absent father had a profound effect on his life and literary works. King tells of his father leaving the house one day to go get a pack of cigarettes never returning. Thus one can easily see why the many stories of King's that involve a rite of passage through childhood would involve a painful process from innocents to adulthood. Examples would be in Salem's Lot it is Mark Petrie that shows the protagonist how to get in touch with the belief in monsters and face his own childhood fears of vampires; or Danny Torrance in The Shinning who's childish innocents of the supernatural allows him to physically see the evil in the hotel that has overtaken his father . It is King's perpetuation of childish innocents that allows adults to endear themselves with his works and see the value in such a perspective. Paper Masters writes custom research papers on Stephen King and cover all his major works.